Politics Trumps Science is not a technical review of nuclear waste. 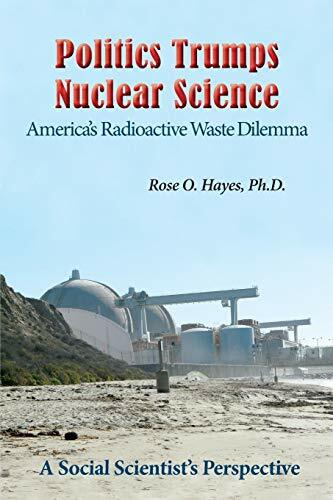 It is a partial social history of nuclear waste management and the 70-year failure of the U.S. government to develop and implement a disposal program for the growing massive inventories of both high-level defense nuclear waste and commercial spent nuclear fuel. There should always have been parallel processes that destroyed the waste as it was produced. An argument is presented that the massive inventories have turned America into a nuclear waste minefield and is also destroying the nuclear power industry through erosion of public support. Deep geological repositories, such as Yucca Mountain, are revealed to be continuously changing open systems of matter and energy which are unpredictable and cannot be controlled. They are unsafe for storing nuclear waste, which is the government's plan. Politics Trumps Science also describes the critical need for research and development to build technologies that will reduce nuclear waste's volume, radioactivity, and half life to supplement nuclear waste storage systems. It is also predicted that without such technologies, America will become nuclear power free as uranium ore becomes depleted or excessively expensive and the industry's profits decline. However, America will be forever left with the indestructible 75,000 plus tons and 30,000,000.000 curies of nuclear waste that have already been produced, threatening public health, safety, and environmental pollution.